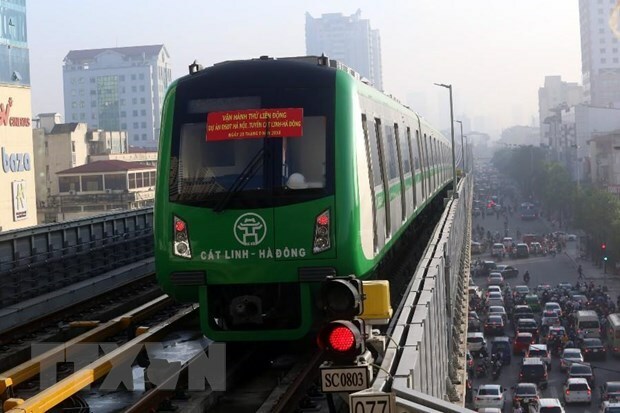 Hanoi (VNA) – Five major transport projects are scheduled to be completed in the second quarter of 2019, according to the Ministry of Transport (MoT). They include the Cat Linh-Ha Dong elevated railway project in Hanoi. The main facilities of this 13.5km-long line have been completed and it is ready to become operational, said Le Kim Thanh – Director of the ministry’s Transport Engineering Construction and Quality Management Bureau – at a meeting in Hanoi on March 28. The other projects include work on the section of Ho Chi Minh Road running through Chu Se district of Gia Lai province, as well as Vam Cong Bridge linking Can Tho city and Dong Thap province. The upgrade of several sections of National Highway 26 through Khanh Hoa and Dak Lak provinces is another project due for completion in the next few months. The last of the five works expected to be finished in Q2 is the upgrade and building of four sections of National Highway 60 linking Rach Mieu Bridge, which connects Tien Giang and Ben Tre provinces, to Co Chien Bridge, which connects Ben Tre and Tra Vinh provinces. The transport ministry will also start another five projects in Q2, Thanh noted.